Siberia found itself at the center of one of last year’s biggest mysteries when a number of large holes started to appear in remote areas of the country back in July. Researchers spent months investigating the phenomenon and determined that the release of gas hydrates brought about by rising temperatures was the most likely explanation. Now however it turns out that the craters may be a lot more widespread in the region than had been previously believed. 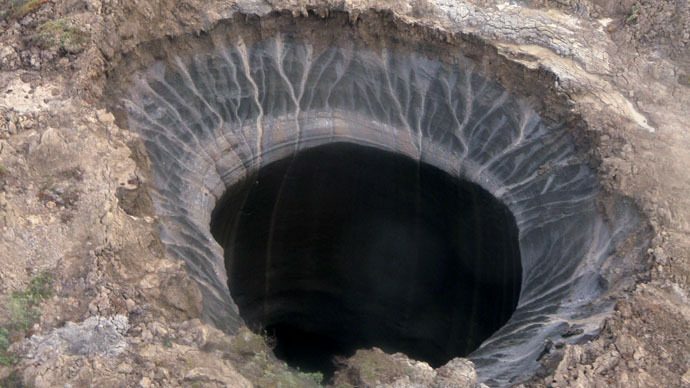 Scientists have speculated that there could be several dozen more craters spread across Siberia. Some of the craters have now turned in to lakes while one of particular note appears to be surrounded by a series of two dozen smaller holes. “These objects need to be studied, but it is rather dangerous for the researchers,” he said.